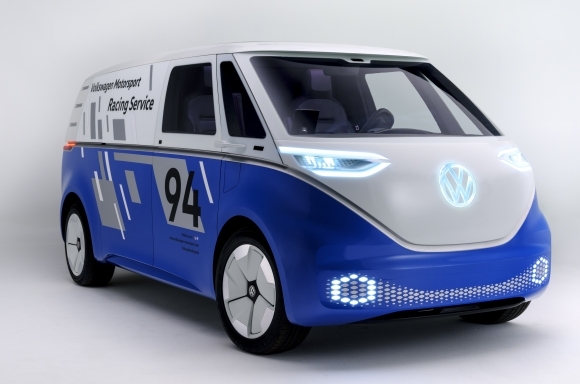 Volkswagen is using the 2018 Los Angeles Auto Show as a stage to boast its electric cargo van concept that teases Level 4 autonomous driving capabilities and zero emissions. This Volkswagen I.D. 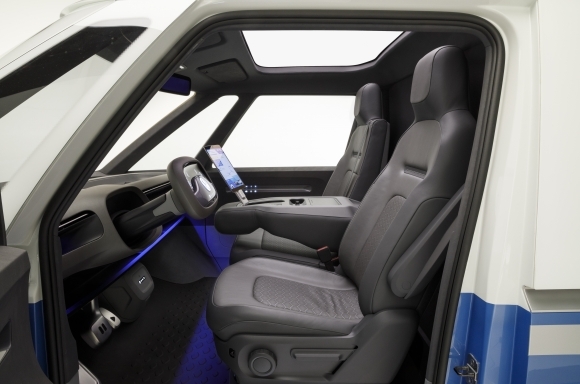 Buzz Cargo will also come with some unique touches as it is being presented as a support vehicle for the I.D. R Pikes Peak race car by VW, and more importantly, demonstrates that the model is more than just a means of transportation. 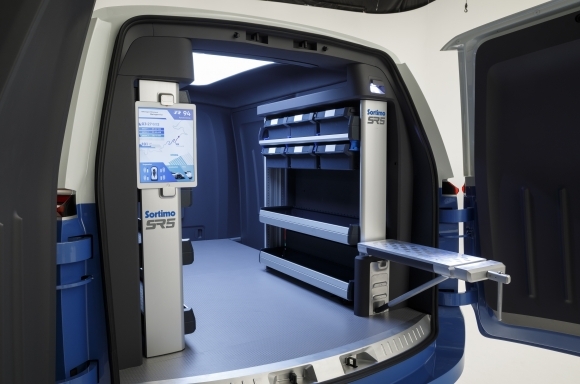 Unlike the September previewed concept, this slightly different variant has special graphics added to the white and blue body—its livery mimics the R’s appearance. Cargo room is taken up by spare part storage and anything to support a race car during a tumultuous racing event like the Pikes Peak Hill Climb. 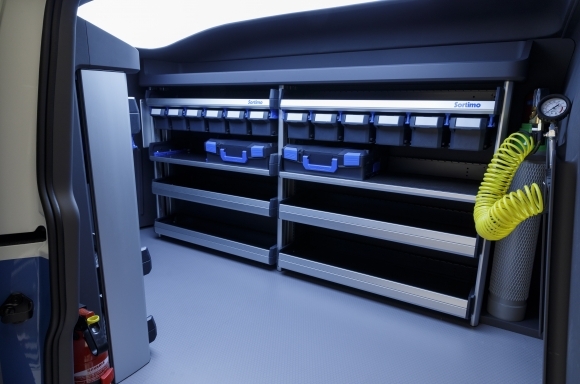 The unique shelving system is connected to the vehicle using a customer specific function control unit and CAN interface. VW’s idea was that anyone with access to the system would be able to track everything that’s on the shelves, which would help out race teams in many different aspects. Other than the race stocked cargo space and sporty looks, the concept is largely unchanged from the prior iteration. Engaging the driver-assist system causes the steering wheel to disappear into the dash, and a windshield display gives the driver needed information. 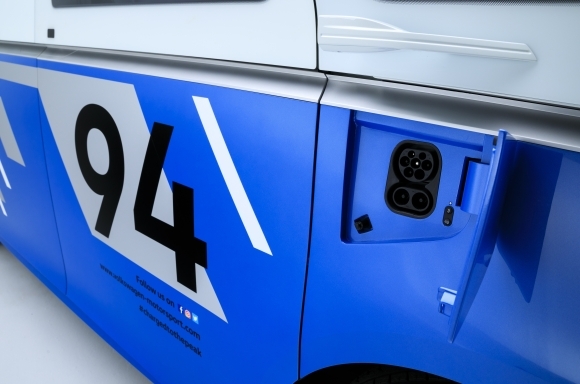 A roof-mounted solar panel assists the range of the 201-horsepower electric motor with an additional 9.3-miles/day of capacity added to the 200-340 mile range. Also like the original, this carries a payload rating of 1,760 pounds and rides on 20-inch wheels that are wrapped in 235/55R20 tires. 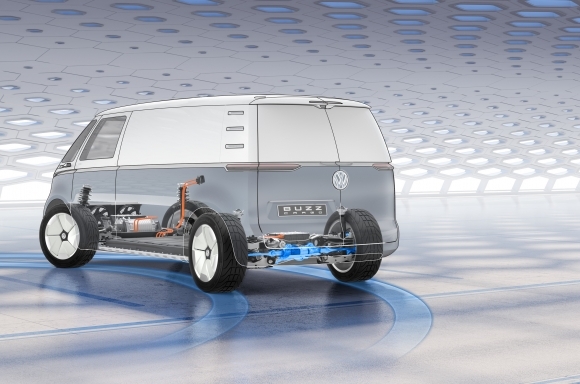 Production of the Volkswagen I.D. Buzz Cargo is still iffy, but won’t happen until at least 2022, if it does at all.